Humans can think. That distinguishes us from animals. But it’s sad to learn that in fact, the civilization of mankind is mainly dependant on some brainpower of minority elitists, and that the vast population is merely the recipients of the results outputted from these great human minds. We are lucky to be born in the Internet Age, which I refer to it as the “couldn't be better” era in mankind history, and I even think that there would be no other era in the future that could possibly be better than now. The good thing about the Internet Age is, to participate you do not necessarily need to be a computer genius, or a wealthy capitalist. There is never a civilization revolution of mankind's history that invites such vast mobilization. In the few thousand years of our long Agricultural Age, the ordinary people made a living by contributing their manual works in the farmland. They benefited from the Agricultural Revolution; they grew the livestock and cultivated crops in a more efficient way, but the rulers enjoyed the largest pie. Even when you’re smart, it’s hard for you to change your fate as a peasant. When James Watt invented the steam engine in 1744, which led to the Industrial Age for the next two hundred and over years, Science and Technology started to play an important role. 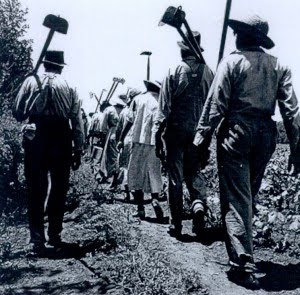 However, the capitalists were the ones that dominated the society by setting up manufacturing plants; ordinary people shifted the form of labor from farmland to the factory. 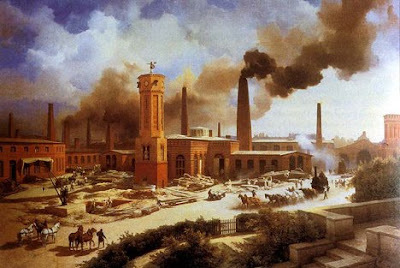 Unless you owned a factory, it would have been hard for you to move up to the top of the social ladder. In the earlier age of the computer era, those who prospered were computer geniuses like Steve Jobs and Bill Gates, not the ordinary people. 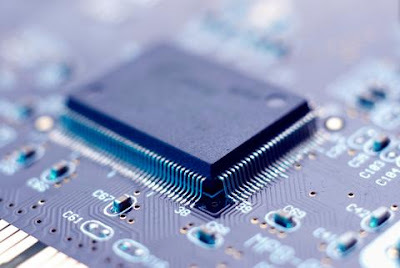 Intel, IBM, Apple, Microsoft emerged as the new giants that rule the world. And even when you’re smart, it’s not easy for you to become as rich as Bill Gates in such a short period. The world advanced, but most of us were only bystanders who drooled to see the opportunities slip away because we chose the wrong profession in our lives. Until, at the arrival of the Internet Age, all of a sudden the gloomy sky brightened; the doors opened wide for those who are willing to participate regardless of their profession. Yes, the computer geniuses still have the edge, however you’re welcome to feast. Because, the Internet reshaped the world, interweaving the virtual world with the real, making any wild dreams possible. It invites new concepts, overrules the old rules, topples the old systems, restructures societies, revitalizes the businesses, renews the approaches, rejuvenates the models, reengineers the methods; and in short, the weirdest ideas can be materialized when you have the right ingredients. Instead of just being a recipient, you can become an active player by adding Internet substance into everything that you do, and the more the merrier. Although we claim that the Internet technology is presently at the post-Web 2.0 stage; the world wide web (www) is still in the Wild Wild West state, you can continue to shape it into anything you like. And, I predict, restructuring a society is quite a hard task; the Internet will take another twenty years to shape the new world. You may find that the opportunities wither after that. 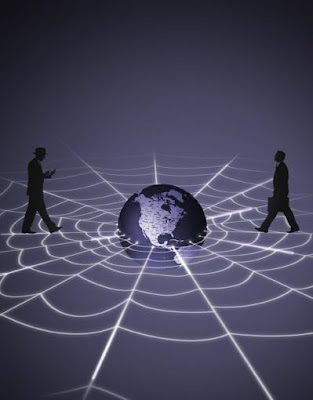 We are a company that relies heavily on the Internet technology. 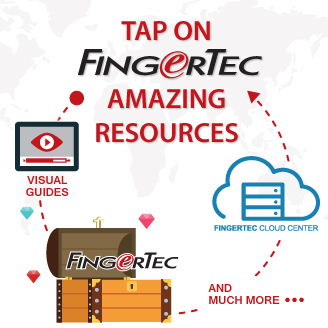 Without the Internet, I reckon FingerTec would go nowhere instead of traveling to over hundred countries the world over. The products can be killed easily by the hefty technical supports of the old-world’s way. 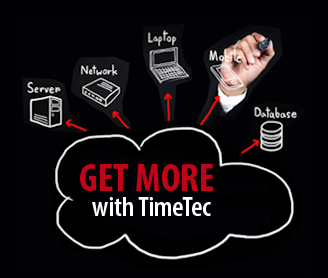 We deploy the Internet technology in our sales and support system, and will continue the R&D to embed the Internet technology into our hardware (Webster) and application software (TimeTec) which are about to be launched this year. 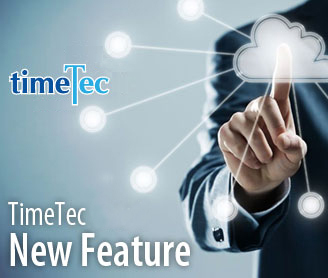 And, another new idea that has always been lingering on my mind, a whole new business concept based on Cloud Computing technology. Should we call it Software as a Service (SaaS), Security as a Service (SaaS too), or Platform as a Service (PaaS)? Whatever the name is, the important thing is we should never let the revolutionary opportunity slipping through our fingers. And, we can expect the next wave of technologies to come along e.g. robotic technology, nanotechnology, biotechnology, quantum technology and etc., but the light would dim again for the ordinary people, because the role of participation obviously would revert as normal recipients. Unless, someone really invented a Time Machine, in which another new world could exist where the present is parallel with the past and the future, then imagination could be stretched to infinity. Over the years, I’ve had my shares of experience dealing with fussy clients. A mere deviation from uniformity such as a slightly different color of one back plate from the rest of the other 100 units would prompt them to send us a long “love” email. Just one terminal’s sleeve is tighter than another and our salesperson would get an earful from our beloved customer. Imagine when their problems are major. Subsequently, somebody in the office would have to wear a Troy-like costume when providing answers as to why it (the problem) happened. The reason that FingerTec takes this ‘trivial’ matter very seriously is pretty simple, what good is a brand if it cannot satisfy customers in the most minor of matters. Pixar goes to great lengths with their short film before or after an extraordinary great animation movie just for the fun of it. Louboutin paints the sole of his heels red just to create a difference. A brand that decides to ignore the simplest complaint will be on the way to doomsville. There were many good brands that remained as history just because they let things happen. The position of a brand is not permanent, not invincible. I would like to quote Heidi Klum who frequently delivers this line in her unique voice, “In fashion, one day you’re in, the next day you’re out.” The same is true when it comes to business. A lot of work has to be invested into maintaining the brand position. A brand is definitely not just a name slapped onto a product. Of late, we can observe many so-called brands popping out in the market especially in the apparel business. Look closely; many of them do not even care to hire a seamstress. A good brand always pays attention to the tiniest details, regardless of whether it’s visible or not to the buyers. FingerTec is a now a brand of biometric products. We started off with a name and we built on that name, slowly and steadily with sincere intention in mind, to make things easy for everybody who experiences FingerTec’s products. That is our brand promise. Once we start to deliver otherwise, we will then not be keeping the promise and the effect might be catastrophic to the brand itself. Therefore, no matter how much work we have to do behind the scenes, no matter how much sweat, tears and blood (perhaps not) we have to spill, we intend to keep our promise intact. Keep those complaints coming no matter how trivial they are, we like to listen to you and improve upon our weaknesses. Direct your complaints to info@fingertec.com or to me at ana@fingertec.com. Amplify Your R&D and Be Surprised! When the rest of the fashion industry players rely on their top designers to lead the trend; Uniqlo, a Japanese brand collaborated with a university years ago to set up its R&D centre for some researches to improve its fabric quality and versatility. What could the purpose of that be to a fashion company, you might ask. Uniqlo shocked the market with a stunning natural growth in revenue for the past five years that made the successor of the family business, Tadashi Yanai the richest man in Japan. Apart from Uniqlo’s sales strategy to focus on the mass market and “slow fashion” that worked well, a lot of customers including my wife were surprised to get some extra fine clothes and super-light winter wear at a comparatively low price, thanks to Uniqlo’s continuous efforts on research and development. 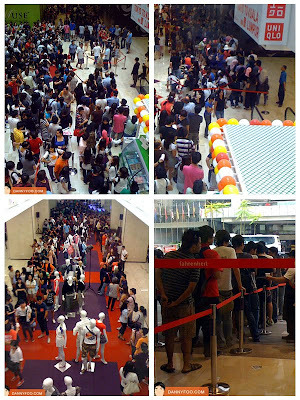 When Uniqlo opened its first store two months ago in Malaysia, the queue was obviously longer than the local launch of the iPhone 4 not long ago. Research and Development (R&D), is a substance a lot of businesses tend to ignore, with the exception of technology companies. When a technology company like Apple emphasizes on design while others do not, it helps catapult Apple to be the most valuable tech company in the world. In contrast, for a design company like Uniqlo, emphasizing on R&D definitely worked to their advantage too. In the business world, we have less hi-tech companies, and to most of other non-tech companies, an R&D department usually has never crossed their mind. The big corporations like the banking industry or newspaper companies that do maintain big IT teams, have a main function of maintaining the server and to ensure computer systems are up and running at all times, and R&D would not be in their priority list. When a half-century-old banal family business like Fast Retailing Group - Uniqlo rejuvenates itself from a nobody to be a somebody through its R&D efforts, it should tell a lot. Certainly there would be some discontentment in one’s system. Do some research, identify the problem, develop some solutions, execute the solutions according to a plan and the practice should become a regular scientific internal process for any good company. And it’s not necessary to confine R&D to company products or services, any improved method towards efficiency or cost saving can be considered an R&D process too. In fact R&D should be everywhere. The spirit of R&D should be cultivated at all levels in a company. And, in a tech company like us, we have a formal R&D department to produce better FingerTec hardware and software. At the same time, we have non-R&D department heads to think about delivering better services, and improving administration processes. I am proud to announce that FingerTec has managed to reduce the technical response time from 24 hours to 12 hours starting this month, and we have revamped the Advanced Repair Program to further benefit our technically apt resellers. We also have released our improved version of installation guides for almost all FingerTec models. When a company amplifies the R&D spirit, you can expect more surprises.